With FY15 ending, chatter surrounds the Indian import-export scenario. Picking out Manganese ore import in the last fiscal, what’s apparent is that the scenario that presented itself during last year, sure did change the figures vis a vis production and import of the ore. Mining restrictions since May’14, poor demand of Manganese alloys in domestic market, China’s receding Manganese Ore requirement, topped with favorable pricing by global Manganese ore suppliers together factored in increased Manganese ore import in India in FY15. India is the 2nd most important consumer of Manganese ore in the world, behind China. Since China has reduced its buying significantly, having ample material stocked in its ports, India has gained greater importance in the Manganese ore global trade and is seen as buyer with increased potential of consumption. South Africa is the largest exporter of Manganese ore to India and the world, accounting for over 35% of Manganese ore exports globally. The depreciation in Rand has been allowing the South African miners to sell at very competitive rates to India. About 70% of our Manganese ore imports have come from South Africa in FY15. In FY14, India had imported 2.18 MnT of Manganese ore. 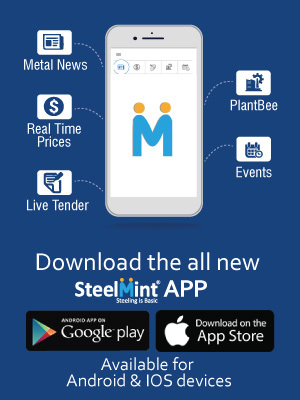 According to SteelMint’s assessment, extrapolating the available provisional data, total imports in FY15 (April-December) stand at 2.64 MnT and are likely to cross 3 MnT. This will be a 37% increase in import of Manganese ore in FY15 as compared to import in FY14. Odisha contributes about 14% of Manganese ore produced in India. SteelMint assesses that in FY15 Odisha is likely to produce 0.31 MnT ore, down by 37% from FY14 during which it had produced around 0.68 MnT. Supreme Court in its order on 16 May’14 asked Odisha state government to temporarily suspend operations at all those mines running under second deemed renewal. Total nine running Manganese mines were shut. However, on 25 Mar’15, the Odisha High Court, hearing petitions filed by several miners, ordered state government to allow operations in Iron & Manganese ore mines shut for second deemed renewal. The major producers are Tata Steel, OM & M and Rungta Mines. MOIL’s FY16 Q1 prices are yet to be announced. Manufacturers are holding their breath for a price cut by MOIL, so as to rescue themselves from producing and selling at loss in the poor demand scenario. It is assessed by SteelMint that out of 2.24 MnT Manganese ore produced in FY15, 50% was produced by MOIL. In FY15, MOIL produced 1.15 MnT. Although, any comment on MOIL’s FY16 production is not yet viable, it is expected to take a huge jump in FY17. The company aims to produce 1.5 MnT in FY17 and 2 MnT by FY20. Other producers are private mining companies located in Madhya Pradesh, Maharashtra, Andhra Pradesh & Karnataka. These account to around 34% of total Manganese ore production in India. India is the 6th largest producer of Manganese ore after China, South Africa, Australia, Gabon & Brazil. About one fifth of the world’s Manganese ore is found in India. India’s dependence on Manganese Ore imports has increased as the Manganese Ore produced in India (apart from MOIL) is of low grade and high Iron content, and these are not suitable to produce the best quality of Manganese alloys. These inferior quality of Manganese Ores have to be blended with better variety imported ores or procured from MOIL domestically. In view of the shortfall of availability of high grade ore and imports becoming cheaper with demand from China diminishing, this trend is likely to continue.